Thyme For Rhubarb. — The Travelling Gin Co.
We can't get enough of Rhubarb at the moment. This is the 1st of 2 new rhubarb based TGC creations. 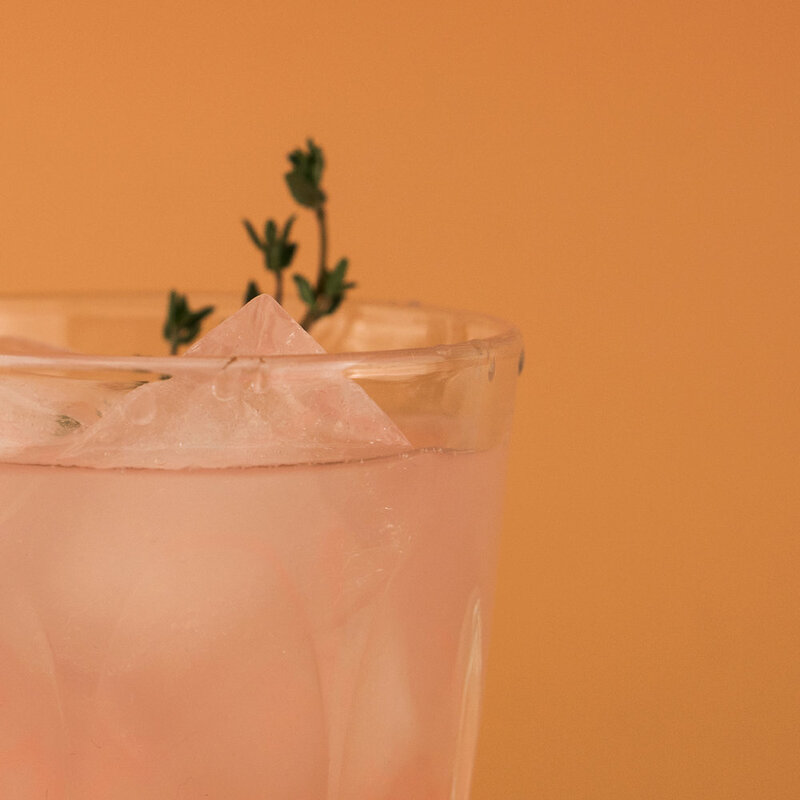 Thyme For Rhubarb is a real crowd pleaser. Nothing not to like here (unless you don't like rhubarb?!). Light, fresh and extremely sip-able. We've made a liqueur with an added tonka bean. Vanilla is good for inclusion too, but like the tonka not essential. Aesthetically it slightly darkens the pink tint, but creates further smoothness. Or just make a straight up rhubarb syrup...that way keeps your ABV count down. Prepare in the same manner as a classic Bramble. We use larger ice cubes over crushed and a splash of soda takes an edge off the sweetness.